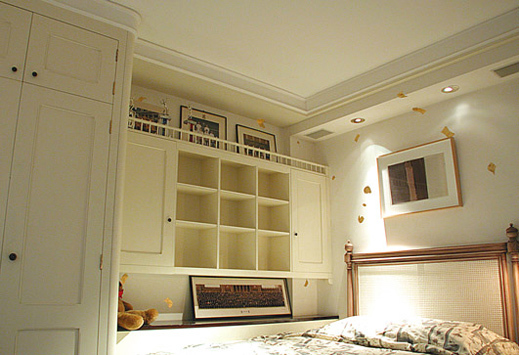 Media storage and desk by Peter Gray Bed room in a flat in Knightsbridge. All bespke joinery by us. Note the sheets of gold leaf on the walls! 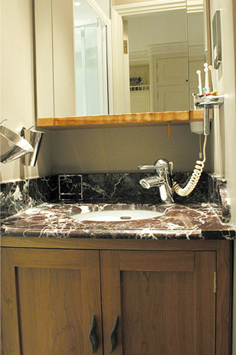 Detail from a cloakroom by us. Solid Cherrywood. all we can to give you a fast, friendly and professional service. shop • house • flat • apartment • country house • show flat • kitchen • bathroom • restaurant • office • club • yacht • exhibition • showroom • villa etc . 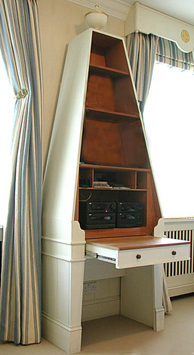 Other Peter Gray sites: ....Gray-Interiors | Shutcase Furniture © Peter Gray Design 2009. All rights reserved.